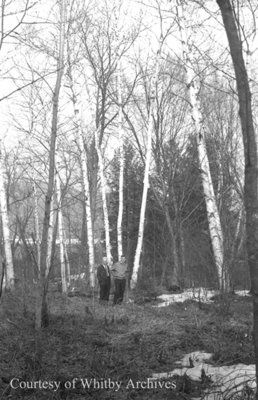 A black and white negative of two unidentified Ruddy family members standing in a forest by the Byeways Lodge in Deep River, Ontario. Byeways Lodge, April 21, 1941, Marjorie Ruddy. Whitby Archives A2013_040_751A.